The number of electric cars on Shropshire's roads has seen a huge leap, with the county home to one of the biggest increases in the country. 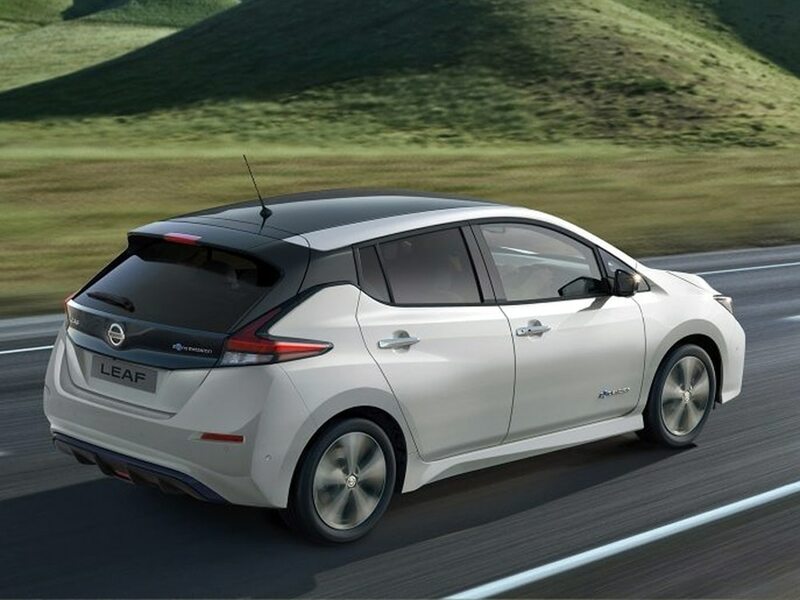 The Nissan Leaf is the UK's most popular entirely electric car. Photo: Nissan. From October 2017 to September 2018, the number of registered plug-in vehicles in the Shropshire Council area increased by 91 per cent – one of the biggest rises in the country. In Telford & Wrekin the number increased by increased by 48 per cent, and in Powys by 36 per cent. The latest Department for Transport statistics show the number of registered electric or plug-in hybrid cars, vans and micro cars, called quadricycles, in the region for each quarter of the year. From July 2017 to September 2017 in Shropshire there were 381 electric vehicles. However by the latest quarter, from July to September 2018, that figure had grown to 726, a jump of 345. In Telford & Wrekin the number increased from 151 to 223 over the same period, and went from 130 to 177 in Powys. The biggest increase came in Peterborough, with the figure of 1,770 the highest percentage of plug-in vehicles of any local authority in the UK. Back in 2013 in Shropshire, there were just 39 electric cars, which shows the progress the industry has made in a short time. Telford had 13 and Powys had 24. Over the next year BP will install charging points at its petrol stations, following Shell's roll-out in 2017. Dyson has also said it plans to release an electric car by 2020. One advantage electric car users have over other vehicles is that they do not have to pay road tax as they do not release any emissions. Plug-in vehicles still make up a tiny percentage of the cars on the road in Shropshire. Compared with the 726 electric cars on our roads, there are 199,366 cars and vans in total, according to the latest complete vehicle registration data from 2017. In Telford there are only 223 out of 94,314, and 177 out of 91,511 in Powys.